The virus made millions by infecting millions of phones with fake apps to churn out fraudulent ad revenue. The CopyCat malware would pretend to be legitimate apps and steal ad revenue on apps, making millions. A new strain of a malware called CopyCat has infected more than 14 million Android devices around the world, rooting phones and hijacking apps to make millions in fraudulent ad revenue, researchers at Check Point said Thursday. While the majority of victims are in Asia, more than 280,000 Android devices in the US were hit by the massive hack. Google had been tracking the malware for the last two years and has updated Play Protect to block CopyCat, but millions of victims are getting hit through third-party app downloads and phishing attacks. There was no evidence that CopyCat was distributed on Google Play, according to Check Point. "Play Protect secures users from the family, and any apps that may have been infected with CopyCat were not distributed via Play," Google said in a statement. Keeping true to its name, CopyCat pretends to be a popular app that people on third-party stores, like SimSimi, which had more than 50 million downloads on the Google Play store. Once downloaded, it collects data about the infected device and downloads rootkits to help root the phone, essentially cutting off its security system. From there, CopyCat can download fake apps, as well as hijack your device's Zygote -- the launcher for every app on your phone. Once it has control of the Zygote, it knows every new app that you've downloaded, as well as every app that you open. CopyCat is able to replace the Referrer ID on your apps with its own, so every ad that pops up on the app will send revenue to the hackers instead of the app's creators. Every now and then, CopyCat will also throw in its own ads for an extra buck. There's been nearly 4.9 million fake apps installed on infected devices, displaying up to 100 million ads. In just two months, CopyCat helped hackers make more than $1.5 million, Check Point estimated. The malware also checks to see if the infected device is in China. Victims in China are spared from the cyberattack, and Check Point's researchers believe it's because the cybercriminals are Chinese and are trying to avoid any police investigations. While there hasn't been any direct evidence on who is behind the attack, there has been several connections between CopyCat and the Chinese ad network MobiSummer. The malware and the ad company operate on the same server, and several lines in the virus's code is signed by MobiSummer. The two also use the same remote services. The majority of victims were in India, Pakistan, Bangladesh, Indonesia and Myanmar. More than 381,000 devices in Canada were infected with CopyCat. The mobile malware spread through five exploits that hit devices running Android 5.0 and earlier and had been discovered and patched more than two years ago. 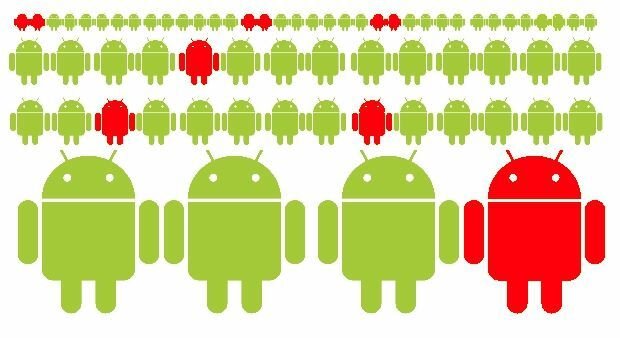 Android users on older devices are still vulnerable to the attack, if they're downloading apps off third-party markets. "These old exploits are still effective because users patch their devices infrequently, or not at all," Check Point said. Google said even older devices are covered from CopyCat by using Play Protect, which is updated regularly as malware strains like CopyCat continue to grow. The attack hit its highest number of victims between April and May of 2016 and has slowed down since Google blacklisted it on Play Protect, but Check Point believes infected devices could still be suffering from the malware. 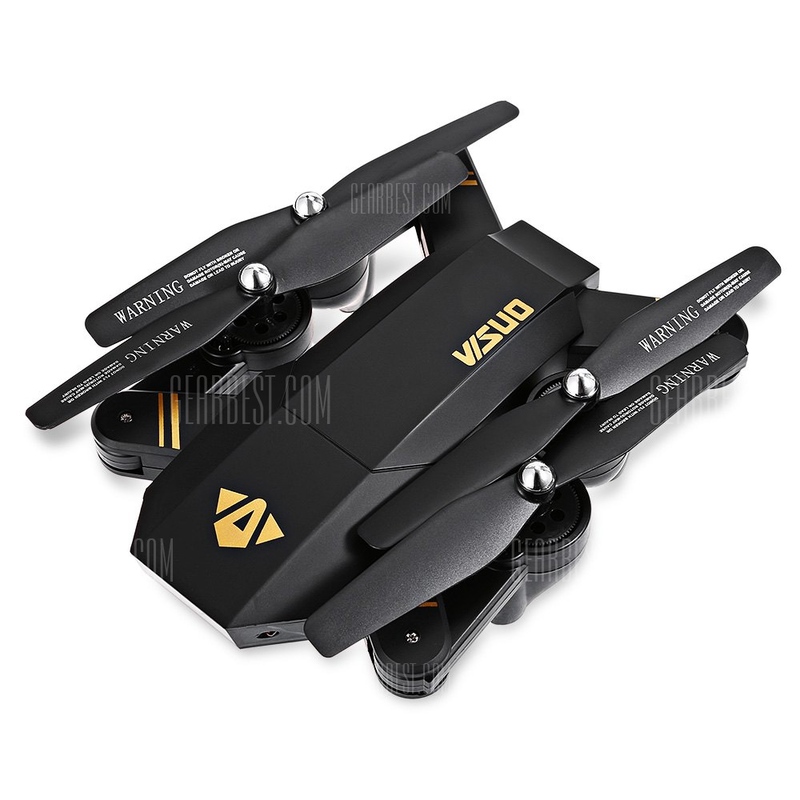 TIANQU XS809W is an awe-inspiring quadcopter with stylish foldable design. The arms can be folded manually, making it easy to be put into any bag. The RTF version supports control via transmitter and mobile device. The G-sensor Mode enables the multicopter to move according to the movement of your smartphone for more intuitive operation. The 0.3MP WiFi camera offers you the fascinating FPV in real time within the range of 70 - 100m. Therefore, it is a great choice for outdoor aerial photography. A marvel of craftsmanship and engineering that combines the beauty of Zen, unprecedented performance, fast charging, sharp vision and a seamless and intuitive UI, designed to be your best companion. We moved the volume and shutter button to the back to reduce the thickness of the ZenFone 2 to a mere 3.9mm, while at the same time delivering a very comfortable user experience. This update posed structural challenges as components are tightly designed to fit into the ever-thinner design. 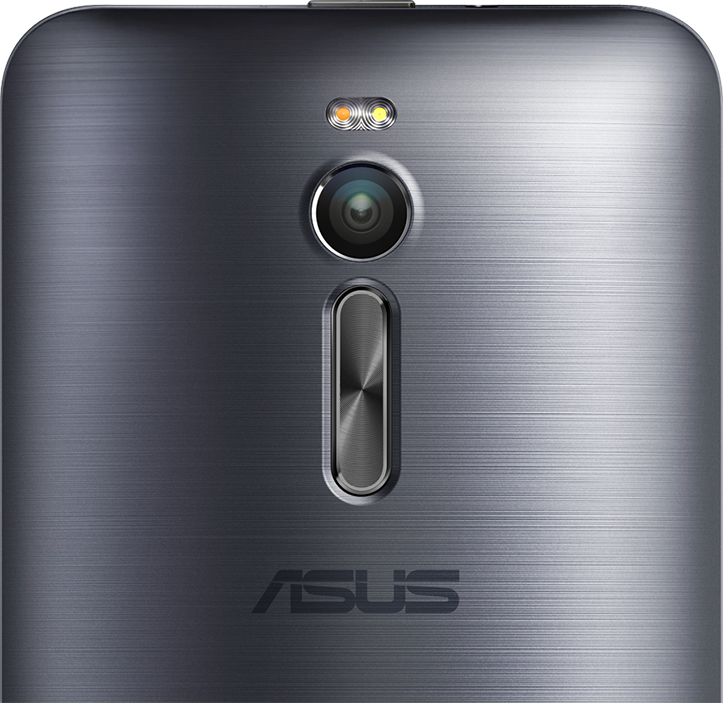 When designing the ZenFone 2, we started with you in mind. As a result, ZenFone 2 has a highly-intuitive control layout, incorporating a physical rear key as part of the new Ergonomic Arc design. Snapping selfies, adjusting the volume and retracing your steps now feels completely natural, regardless of whether you are right- or left-handed. The elegant new shape feels secure and extremely comfortable to hold. Celebrate your uniqueness with the Fusion and Illusion series. Designed for those who refuse to conform or accept compromise. 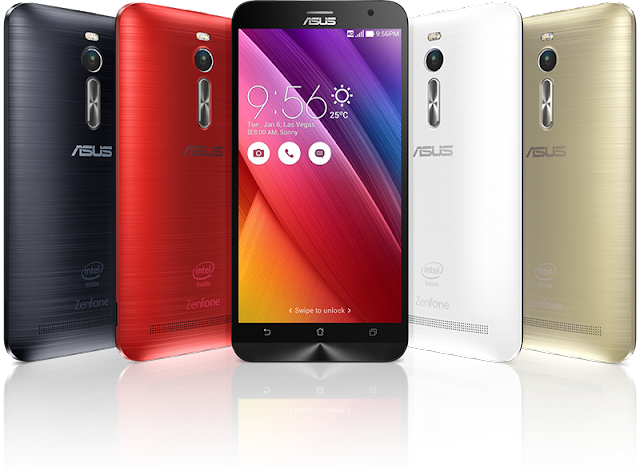 ZenFone 2 is powered by a 64-bit 2.3GHz Super Quad-Core Intel® Atom™ Z3580 processor, and is the world’s first smartphone with 4GB of dual-channel DDR3 RAM. Featuring LTE Cat 4+ for download speeds up to 250Mbit/s, and a 60ms touch response time, ZenFone 2 gives you power beyond your imagination. ZenFone 2’s 13MP PixelMaster camera with its f/2.0-aperture lens captures stunning, high-resolution photos with zero shutter-lag. The industry-leading Low Light mode employs pixel-merging technology to capture up to 400% brighter photos at night or in low-light scenes, without the need for a flash. Backlight (Super HDR) mode lets you see clearly through daytime shadow and Super Resolution mode helps you to capture detailed images at resolutions of up to 52MP! ZenFone 2 high-capacity 3000mAh battery offers and delivers the power you need to take you for a powerful and long lasting using experience, from sunrise to sunset — and beyond. Power up your entertainment, and enjoy life on the go. Not only does it have a big capacity, ZenFone 2 also comes with the exclusive ASUS BoostMaster Technology that can charge your ZenFone 2 at double the speed. With BoostMaster, your battery is juiced up to 60% in no more than 39 minutes! Less time waiting, more time doing. There's more to your smartphone than you might think: underneath its user-friendly, simple surface there are all kinds of hidden features and shortcuts you can take advantage of do more with your handset of choice. 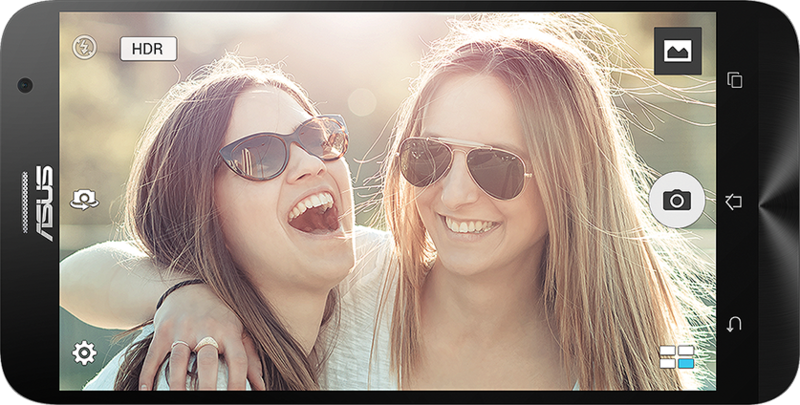 Okay, okay - maybe your friends won't be that impressed unless you make your phone vanish into thin air. But these are all handy little tips you can use to get more out of your mobile, and maybe raise an eyebrow or two along the way. Thanks to the increasing quality of smartphone cameras, you no longer need a scanner to get all of your paper files up into the cloud. Evernote, Google Drive and CamScanner are three of several apps that can do the job. You can use apps such as Shazam or SoundHound to work out what you're listening to, but you don't have to: Google Now, Siri and Cortana can all respond to the voice command "what song is this?". If someone else finds your phone, will they be able to get it back to you? Put your details on the lock screen to make sure: the option is in Settings on Android, Health on iOS and on Windows Phone you'll have to edit the wallpaper. Set up a recipe on IFTTT (or the accompanying mobile apps) and you can get alerts sent straight to your phone if the weather's looking bad - handy if rain or snow means you'll need to leave for work earlier. Delve into the Google Calendar app settings and it's possible to fix the time zone (rather than have it update every time you travel somewhere). That way, you'll always know when something's happening at home. The future is here: Siri, Google Now and Cortana let you turn off Wi-Fi with your voice. 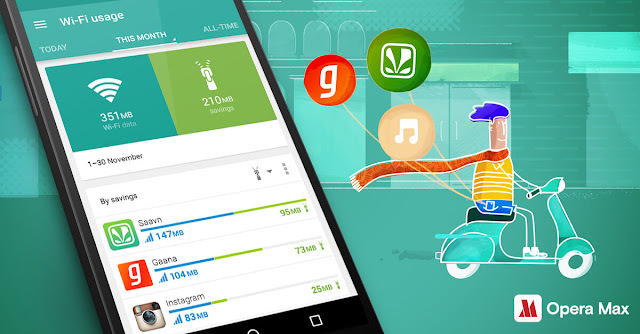 Just launch your app of choice and say "turn off Wi-Fi" to achieve the desired result. It works with Bluetooth as well). iOS 9.2 added Mail Drop to iPhones, so when you email a large file from your phone you'll get a prompt to use it. Instead of attaching the file, Mail uploads it to iCloud, with the download link valid for 30 days. A host of apps, from Spotify to YouTube, have some kind of remote control functionality built in. If you want overall control of your laptop or desktop, take a look at the likes of Unified Remote and Alfred. Both Android and iOS now support the use of third-party keyboards, which can do everything from add extra emojis to apply some neural network processing power to your phone's autocorrect feature. 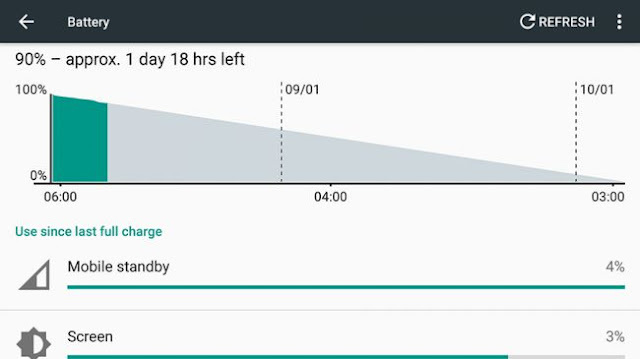 All the major smartphone OSes now have detailed readouts of which apps are using up most of your battery juice, so have a root through the Settings app to find the worst offenders and uninstall them if necessary. Just like everyone else you probably want your phone to charge up as quickly as possible (even more so if you're in a rush). Put it in aeroplane mode and it will use much less battery life and thus charge more quickly. On Android Marshmallow, go to Settings, Security and Screen pinning - when activated, you can 'pin' apps from the multitasking screen, so the app can't be left without a PIN. Handy for lending your handset to other people. You can have your iPhone's LED light flash whenever a notification comes in as an extra way of alerting you to new activity: from Settings, choose General then Accessibility and then toggle LED Flash for Alerts to the on position. Android has a hidden safe mode (like Windows) where third-party apps are disabled, which is useful for troubleshooting. 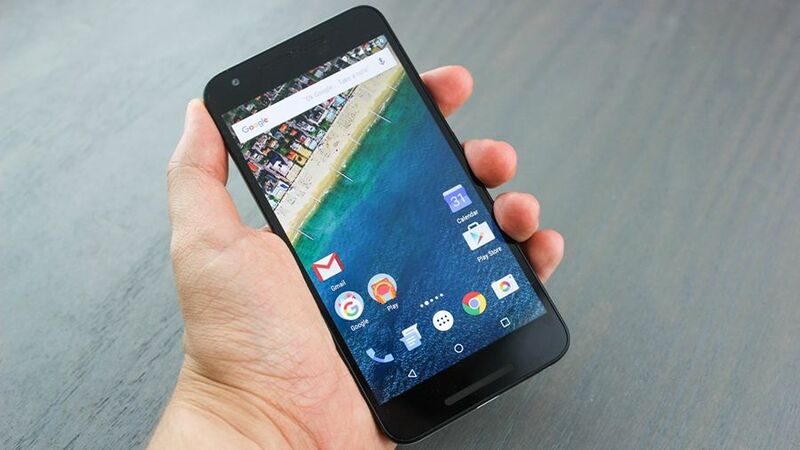 On stock Android, Bring up the Power off menu with the power button then long press on it. iOS doesn't have a safe mode, but you can quickly clear out the memory and speed everything up again - press and hold the power button, then when you see the "slide" message, press and hold the home button. Android Marshmallow includes a hidden System UI tuner for playing around with the Quick Settings pane (Wi-Fi, Bluetooth, etc). To enable it, press and hold the cog icon at the top of Quick Settings, then find it in the Settings app. If you're running iOS 9 or above on an iPad, an iPhone 6S or an iPhone 6S, press and hold two fingers on the keyboard to turn it into a makeshift trackpad. Unfortunately the feature doesn't work on older iPhones. 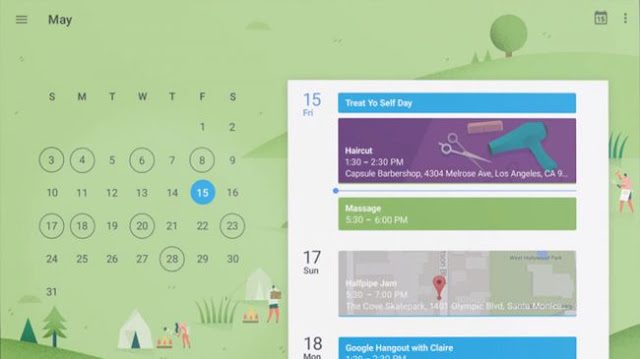 Google Maps for Android offers a one-icon widget that instantly directs you to the address of your choosing - that means you can create a home screen shortcut that takes you home from anywhere with one finger tap. If you go into the Clock app on your iPhone you can set a countdown timer - easy enough - but you can then choose Stop Playing as the option from the When Timer Ends menu to shut off all your music after the allotted period. 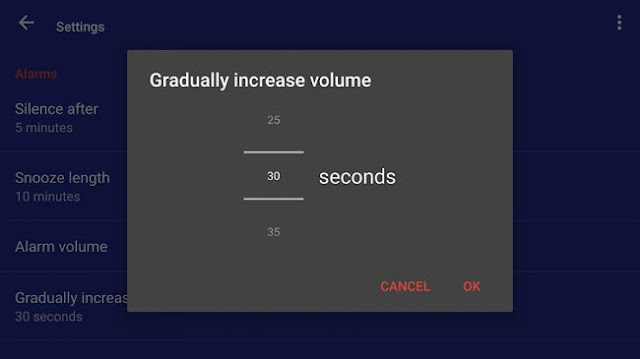 Here's a tip for the Android Clock app: delve into the menu (three vertical dots) from the main alarms page then find the option that says Gradually increase volume. It gives you that extra impetus to get out of bed. Sometimes you can't beat the feeling of a real physical button when taking your snaps - well, good news, because on Android, iOS and Windows Phone you can take photos using the volume buttons whilst in the Camera app. You can record phone screencasts pretty easily: either via the YouTube Gaming app on Android, or by plugging your iOS device into a Mac computer and selecting it as the recording input source in QuickTime. These days, 4G and LTE are available in almost every major market without fail. But if you find yourself in a more rural or less developed area, 3G may still be your most reliable and widely available option. Unfortunately, today’s internet can be quite demanding, and 3G isn’t always up for the job. The good news is that there are little things you can do to make your experience better on 3G. Here we’ll talk about a few helpful tweaks that you can make to your Android phone to speed up your mobile connection. Now, you won’t be transforming an outdated device into a speed demon by any means, but if you just want internet browsing to be a little less painful, then maybe we can help you out with that. Opera Max truly is the one-stop shop for anyone looking to take authoritarian control of their data usage and maximize their browsing speeds. Although this app was designed with crowded wifi networks in mind, a lot of the functionality that it brings you translates well to 3G use. Opera Max actively optimizes streaming content such that it stays lean and brisk. Recently, Opera has been improving their data optimization app to the degree that they are now claiming an increase of 23% over conventional usage. Almost a quarter faster with half as much data use? What more could you ask for! If you’re trying to milk as much as you can out of your 3G connection, try Opera Max first and then advance from here if you don’t see a marked increase. Click the button below to grab it from the Google Play Store! Facebook, frankly, is the devil. At least as far as data use is concerned. Not to mention battery use! 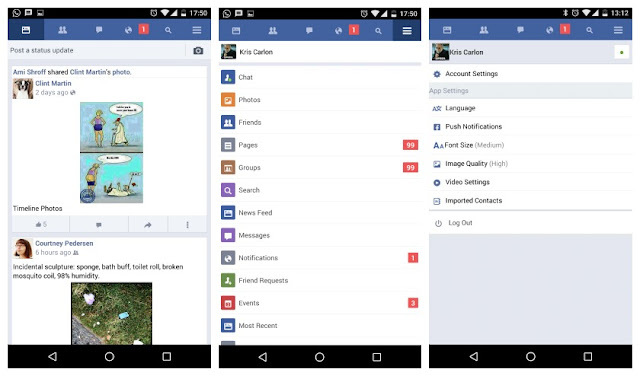 Swapping to Facebook Lite is an excellent way to cut down on both of these over-uses. The app was specifically designed for users who aren’t able to access the world’s most popular social network on state-of-the-art networks, and it focuses on giving users a reliable Facebook experience while simultaneously soaking up the least amount of bandwidth possible. If you’ve been through the rigamarole of uninstalling the official Facebook app, and have experienced desirable results, but the alluring convenience of using an app over a browser has pulled you back into sub-par use experience, Facebook Lite is for you. 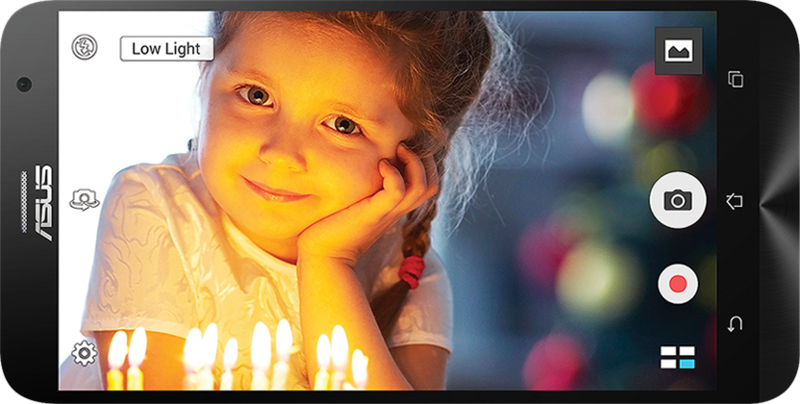 Give it a whirl by clicking the button below, and see if it improves your 3G experience. For the fastest possible internet experience, try putting your browser in Text Only mode. Not all browsers support this capability, but it can be found in most settings menus. Turning your browser to Text Only will prevent it from loading images, which constitute the bulk of internet traffic. When your phone starts ignoring images, you’re guaranteed to feel a boost in speed. Chrome is an excellent browser for the average user. It can synchronize across multiple devices for a seamless internet experience, including remembering all your passwords and bookmarks. However, Chrome isn’t exactly famous for its lean use of memory. 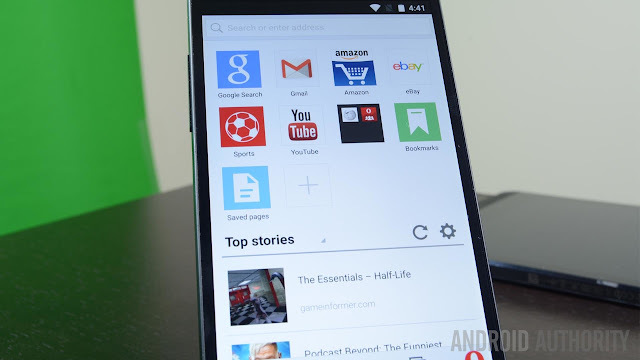 Again, for the most memory-saving features available in a mobile browser, we’d recommend Opera Max. With this third-party VPN service, you’ll be able to save megabytes of data on social, video, music and photo sharing apps, monitor your apps to see which ones consume the most data, manage your data consumption and even boost your Wi-Fi speeds. However, Opera Mini is also a lighter, yet still feature-rich version of the Opera browser, which we’d also recommend. Both apps are available for free in the Play Store. 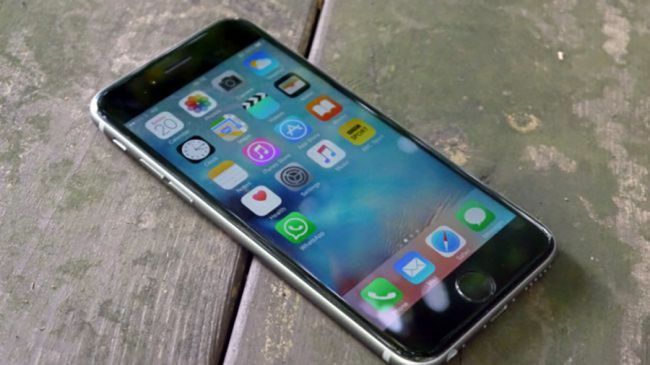 If you’ve tried the methods above, and you’re still experiencing sluggish service on your 3G network, the problem may be with your device rather than your network. We’ve come a long way since 3G was the norm, so apps and firmware tend to be optimized for 4G usage. This can lead to some perhaps unexpected resource management issues that are fairly easy to resolve once you’re aware of them. While newer versions of Android are getting better and better at managing your system’s memory, having a bloated cache can still eat into your device’s resources and slow it down. This is an especially common problem on older phones running older versions of Android. Having a stuffed cache can slow down everything about your phone including your internet browsing. A good first place to start when you’re looking to get a speed boost is to dump that cache. To clear out an app’s cache, go to Settings > Applications and then select the app you want. From here, tap Clear Cache. 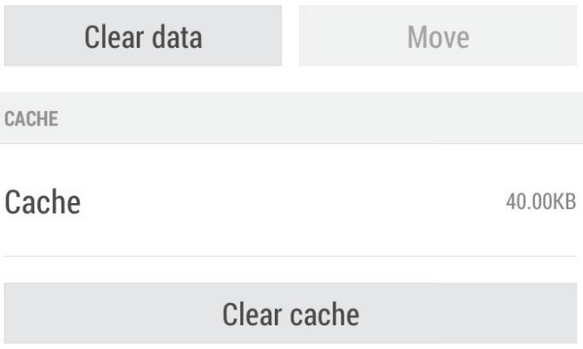 If you’re not sure which app is dragging you down, it’s also possible to clear the cache for all of them by using a cleaning app with a Clear All caches button, such as App Cache Cleaner. These are our recommendations for increasing 3G connection speeds. Most of them have to do with trimming down your phone’s resources to make sure your browser can operate to the best of its ability, but you may also get more consistent results. Can you think of anything else that will help users get the most out of their 3G network? Let us know in the comments! And no, “Upgrade to a service with 4G” doesn’t count, smarty pants. Podcast Go is a good, simple podcast app. It features a colorful, modern design and it's easy to use. It boasts a collection of over 300,000 podcasts across a variety of genres. You can subscribe to them, download episodes, and listen offline. It is missing the occasional feature that podcast fans are likely used to. 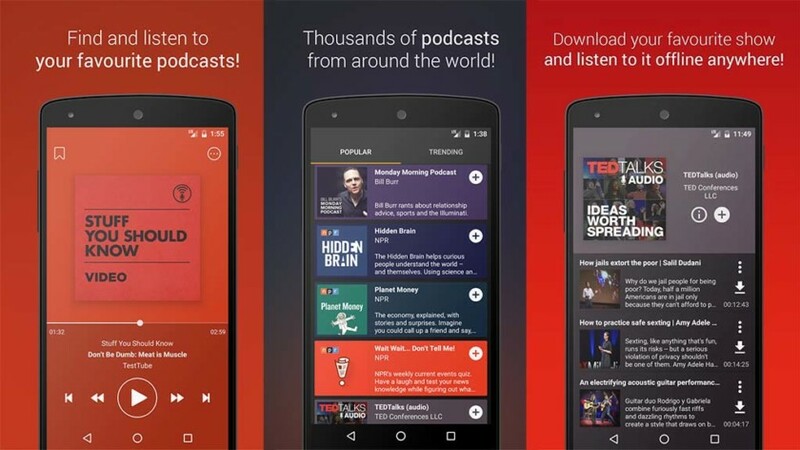 However, those people are likely using more powerful podcast apps anyway. It's a good, simple app for the casual podcast fan. It's also free with no in-app purchases. There are some ads, though. There is over 300,000 shows and you can explore them by popular categories such a comedy, music, news, games, education and so on. To Do is Microsoft's latest app. 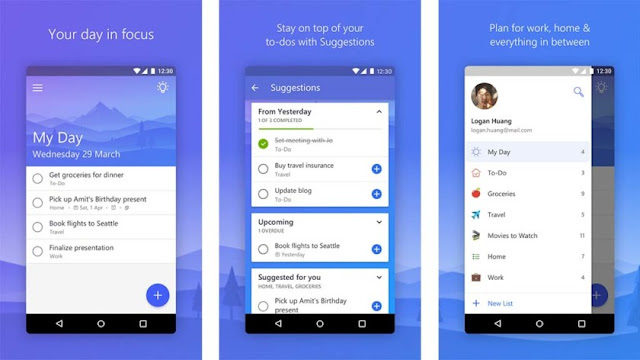 It's a to-do list app with a simple design and simple function. It allows you to create lists of things that you need to do. 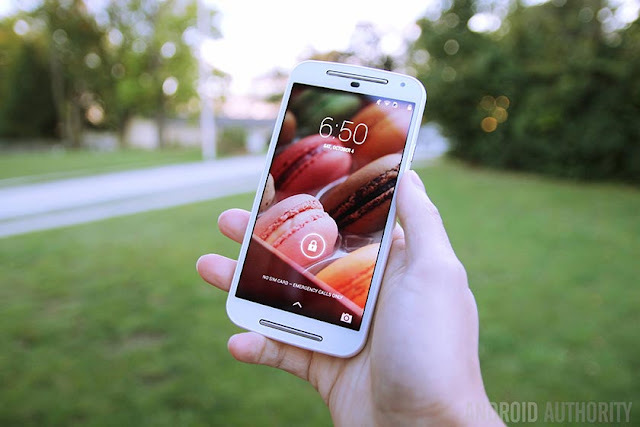 It then syncs them between your PC and your Android device. You can create tasks, add reminders, make the tasks recur (like taking out the garbage every week), and create new lists to help keep yourself organized. It looks and works a lot like Wunderlist except that it's more simplified. It's currently completely free to download and use. The only caveat is that you have to sign into your Microsoft account to use it. Microsoft To-Do is a simple and intelligent to-do list that makes it easy to plan your day. Whether it's for work, school or home, To-Do will help you increase your productivity and decrease your stress levels. It combines intelligent technology and beautiful design to empower you to create a simple daily workflow. Organize your day with To-Do's smart Suggestions and complete the most important tasks or chores you need to get done, every day. To-Do syncs between your phone and computer, so you can access your to-dos from school, the office, or the grocery store or even while you're traveling around the world. You can quickly add, organize and schedule your to-dos while you're on the go. With important to-dos that you really shouldn't forget you can add reminders and due dates—we'll remember them for you. And if you have to-dos that you need to tick off on a daily, weekly or yearly basis you can set up recurring due dates to remind you each and every time. What areas of your life do you want to be more productive in? You can have a color-coded list for each. Now you can quickly add your homework to one list, your groceries to another, your packing list, your work projects and your home DIY projects to yet more lists. You can create as many lists as fits your lifestyle. And if you follow a productivity system such as GTD (David Allen's Getting Things Done Methodology) then you can create a Someday list or a Follow-up list. To-Do is here for you, whether your goals are for this week or in 5 years time. Plan what you want to focus on each morning and give yourself a powerful productivity boost for the day. This simple to-do list app is free to download and use. 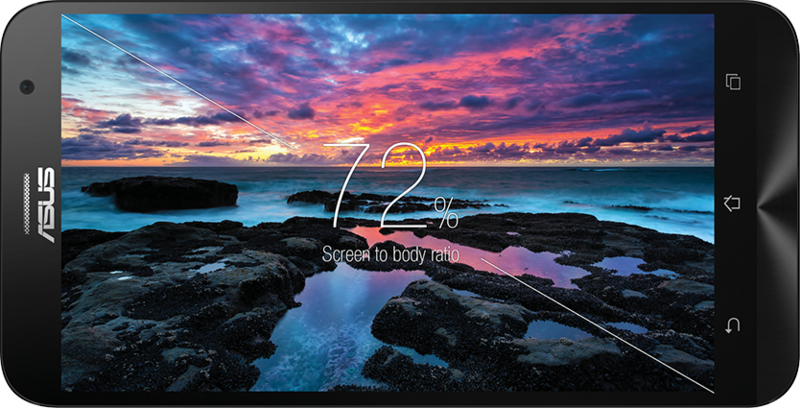 It includes customizable themes, notes, reminders, due dates, smart Suggestions, and syncing across multiple devices. In short, everything you need to manage your life and accomplish more. Completing your tasks or chores has never been so easy. Errands just got a little more enjoyable with To-Do. It is the task management tool you need to add to your daily arsenal. Learn more about To-Do at http://todo.microsoft.com. Libby is an ebook and audiobook platform by Overdrive Labs. It works by using your library card to let you borrow content for free. You simply sign up with your library card and the entire platform is open to you. It features thousands of ebooks and audiobooks to choose from. 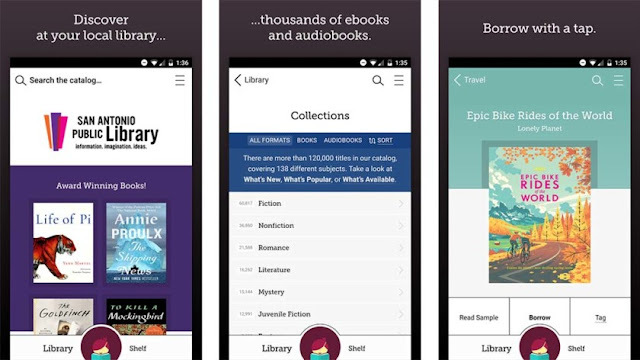 You can download books for offline reading, rate books, and more. Overdrive Labs has an official app that does a lot of these things. However, Libby aims to be more of a simplified experience. It's also free and has no in-app purchases. Meet Libby. Discover ebooks and audiobooks from your local library. Brought to you by OverDrive Labs. Did you know your local library has thousands of ebooks and audiobooks? You can borrow them, instantly, for free, using just the device in your hand. GlassWire helps you keep track of your data. 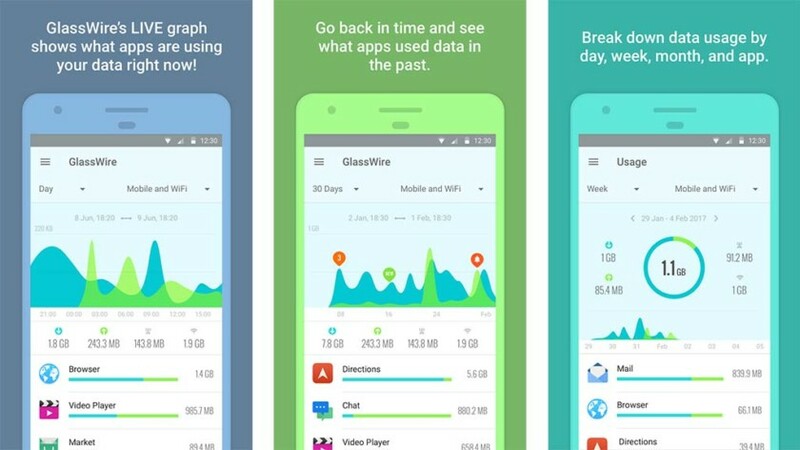 It shows you a real-time graph that shows how much data you've used, the apps that use it, and more. It's most useful for those who have limited data caps and want to keep track of how much they've used. However, it's also an excellent way to see the apps that access your network the most and how often they do it. You can even have GlassWire alert you whenever a specific app accesses data. It's free to download with no in-app purchases. GlassWire makes it easy to keep track of your mobile carrier data usage and Wi-Fi Internet activity. • See a live graph of which apps are currently using your mobile carrier data or Internet connection. • Instantly know every time a new app accesses the network and begins using Wi-Fi or mobile cellular data. • Go back in time with GlassWire’s graph to see which apps used mobile data earlier in the week or month. • GlassWire’s data alerts can help keep you under your data limit. Get alerted before you reach your carrier data limit to avoid overage fees.